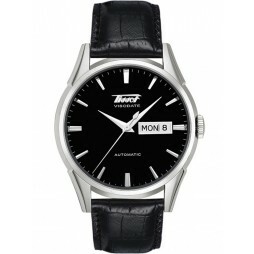 Introducing this sporty men's strap watch from Tissot, based off the 1960s motorsport style. 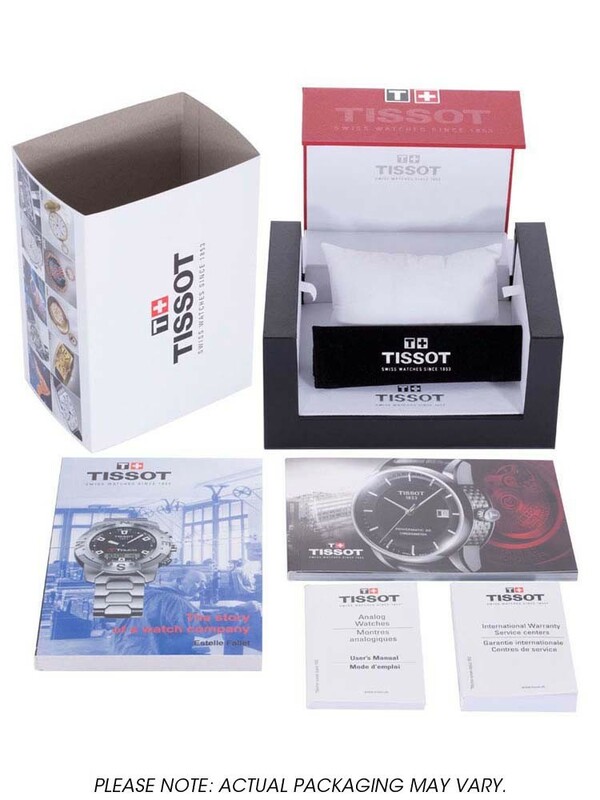 Equipped with world-renowned timekeeping technology for accurate time reading. 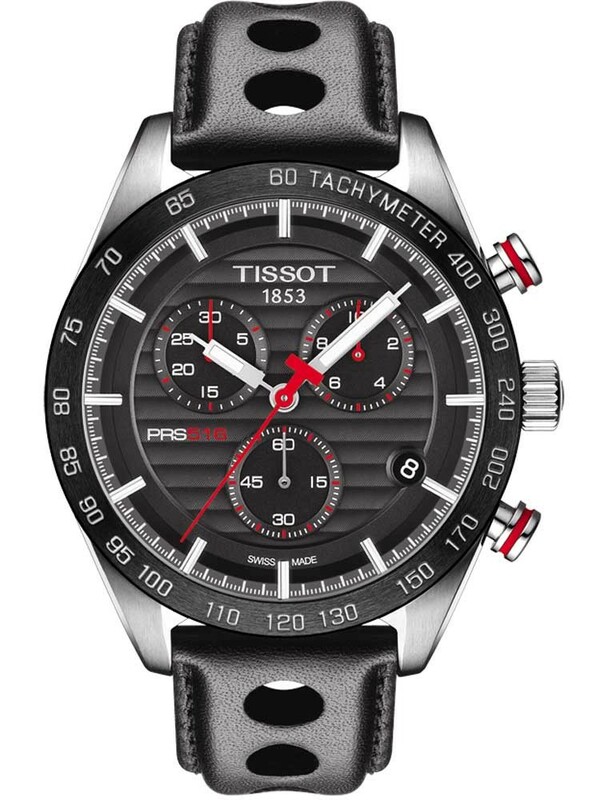 The black dial also consists of luminescent hands, chronograph subdial and date window. 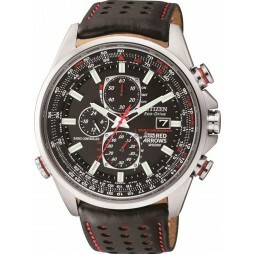 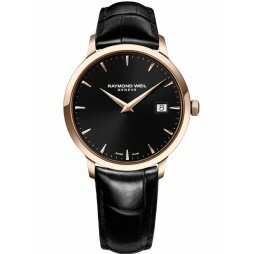 Fastens securely using a black genuine leather strap.